Registering provides us with the information needed to submit your credits to the California Department of Insurance when you complete a course for a certificate...Pre License and / or Continuing Education. 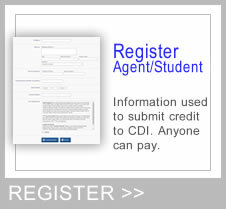 You can use an ITIN to receive pre license certificate credit with CDI. When purchasing printed material we will use the shipping address you provide to mail your material. Want reminders? Enter your license number and expiration date. 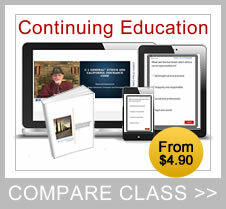 "Completed the online training for Property and Casualty Insurance. Successful! I passed the state exam. 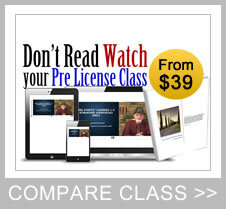 The online class is very lively, it is as if you were in an actual class room. Lou lets you know what you need to focus on and provides different ways to allow you to understand the subject." 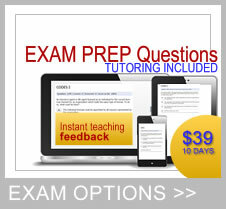 "Based on my experience with your class, I feel that your class was, foremost, very informative and very comprehensive. The information you have provided in your class was very useful and helped me to understand many different concepts of insurance that I did not come across before. The videos were great and provided much needed information to understand how the insurance works and what can be expected out of different insurance policies. The most informative, I found, to be the book. The book is an excellent tool to study for the exam and opened up different issues found in property and business insurance concepts. The trial questions could use some overhaul, but overall were good and very informative. I would strongly recommend your course to those who would like to study the business of insurance. Thank you."